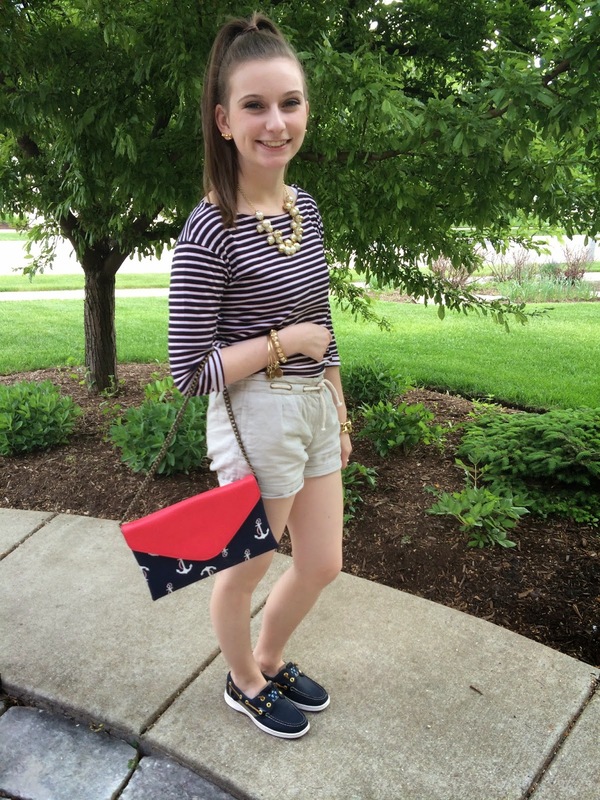 A patriotic look for Memorial day? Of course! Last week was memorial day and this was the all American get up that I came up with. 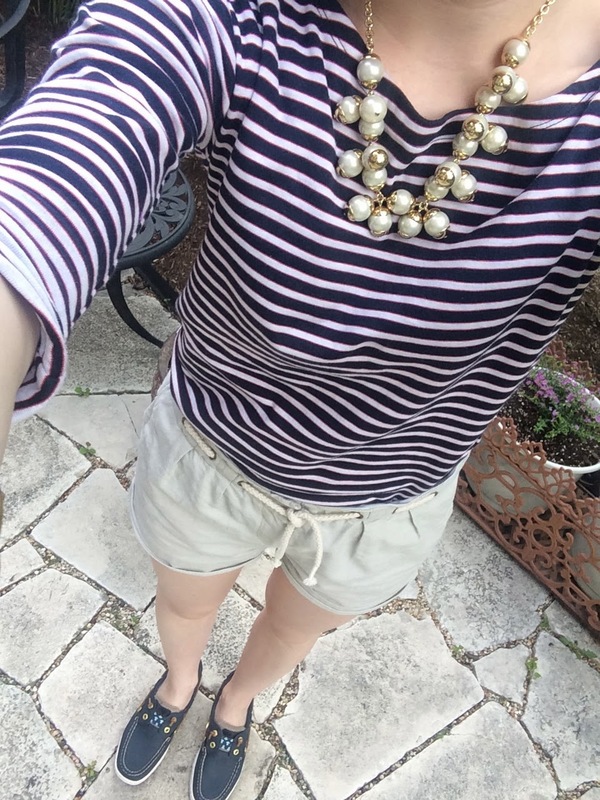 I am wearing one of my favorite striped shirts from J Crew (yes I have so many that this is considered my favorite...). 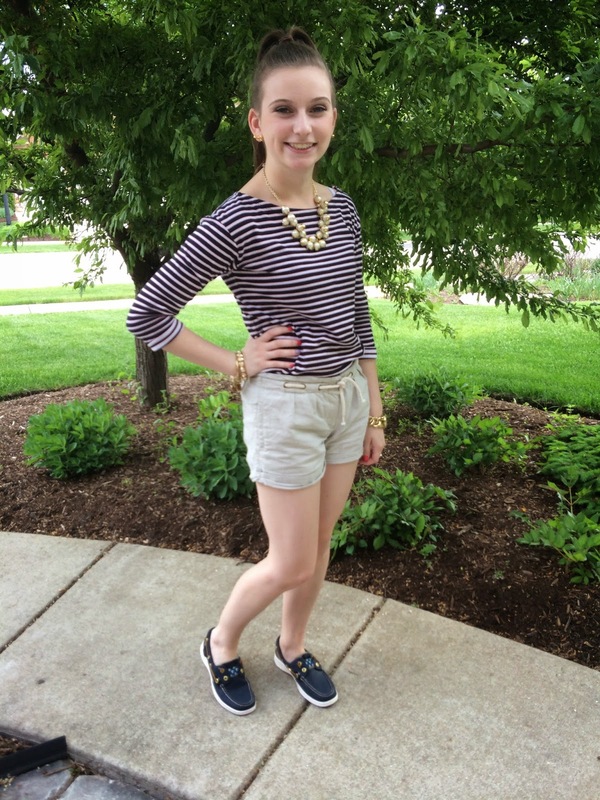 I paired it with a fun pair of linen nautical inspired shorts. 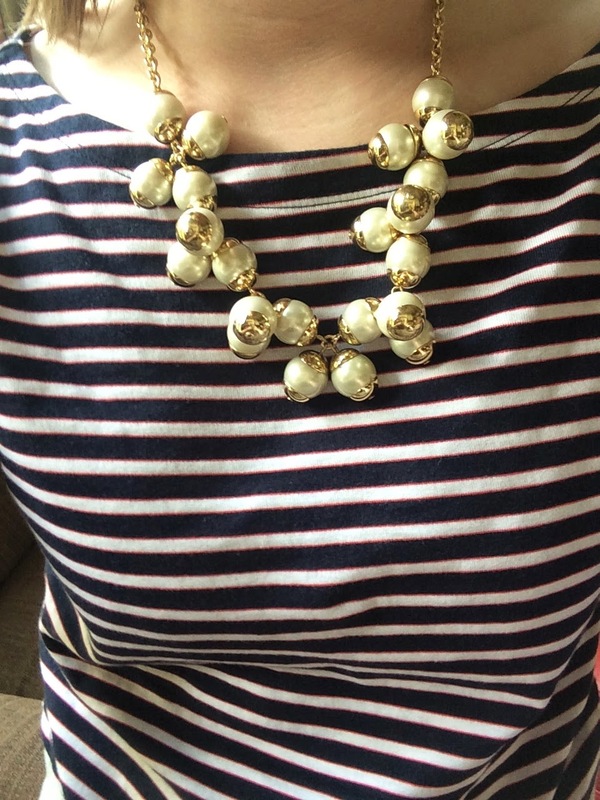 A tiny secret, they are from the kids section of J Crew! For accessories I wore one of my favorite statement necklaces, also from J Crew. 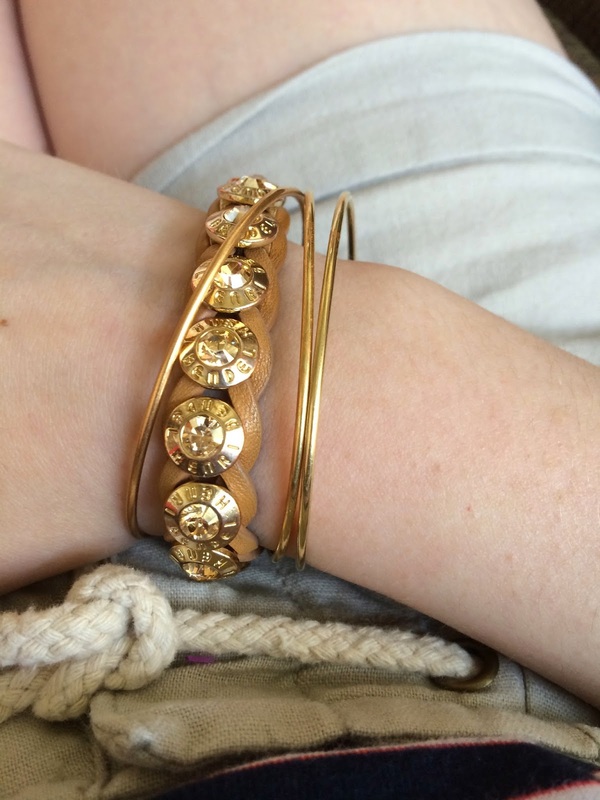 Gold bow earrings, Alex and Ani bangles, and a neutral Henri Bendel bracelet complete the look. 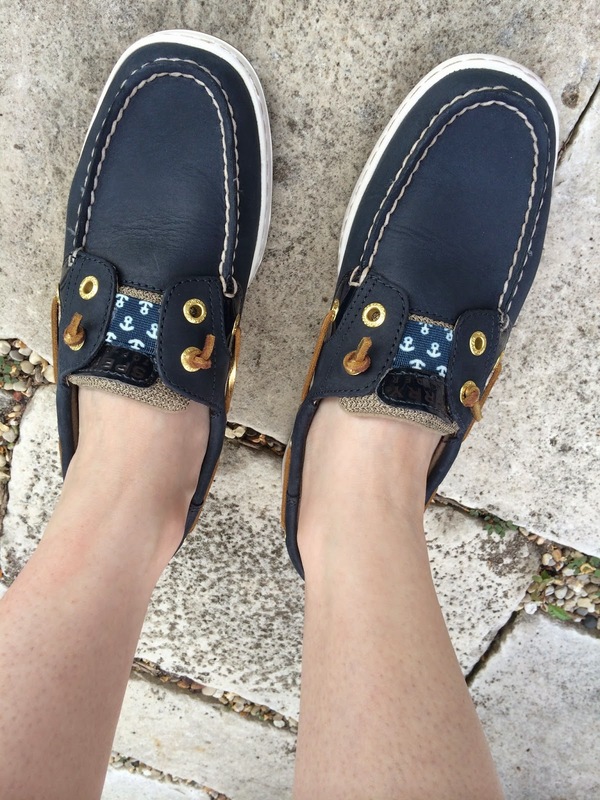 But, how could I forget about my new Sperry Topsider boat shoes I got from the Nordstrom sale! They have small anchor details on them and they are adorable. I can't wait to style them with more nautical outfits. 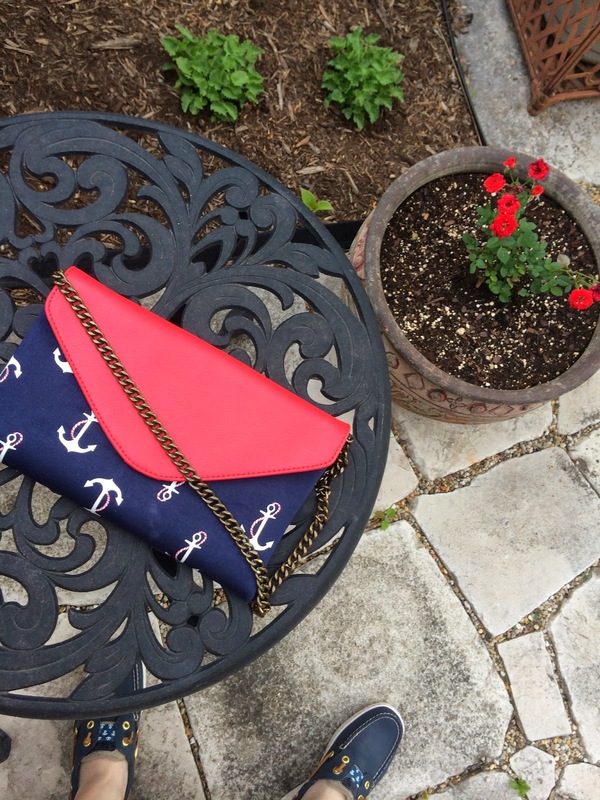 Also, I carried my anchor bag from J Crew which I featured in a post a little while back. 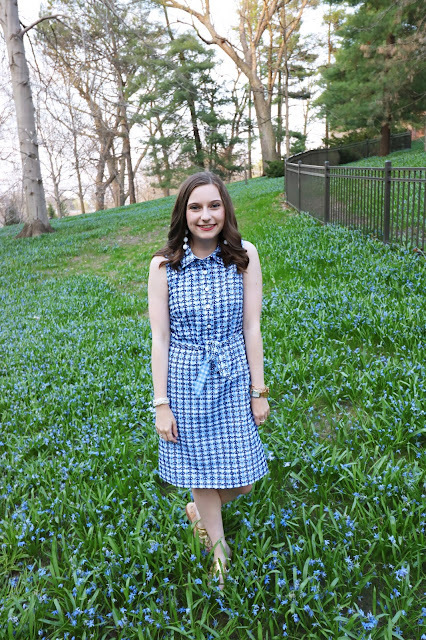 I hope everyone had a fabulous Memorial day weekend! Also, I hope everyone took the time to honor those who have fought and lost their lives for our country. 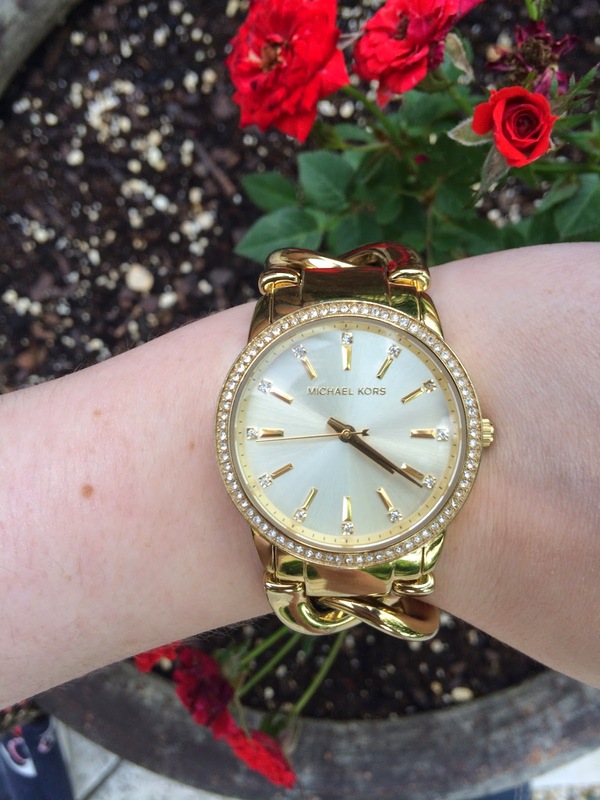 Marley Lilly Flash Sale Picks! BIRTHDAY HAUL + Youtube Chanel? Follow Me Around: Chicago with my sisters! 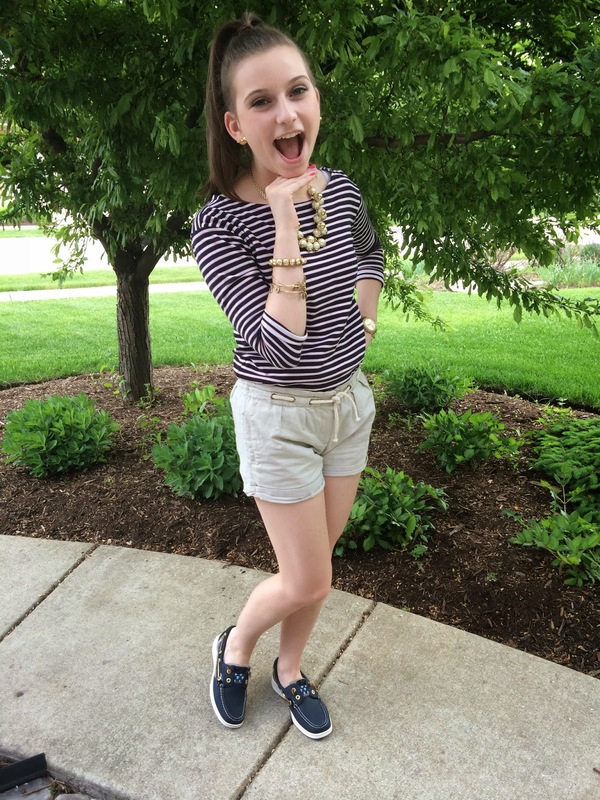 Follow Me Around: Birthday, OOTD, and Dinner! Summer Style: Orange ya glad?